Item # 314242 Stash Points: 5,195 (?) This is the number of points you get in The Zumiez Stash for purchasing this item. Stash points are redeemable for exclusive rewards only available to Zumiez Stash members. To redeem your points check out the rewards catalog on thestash.zumiez.com. 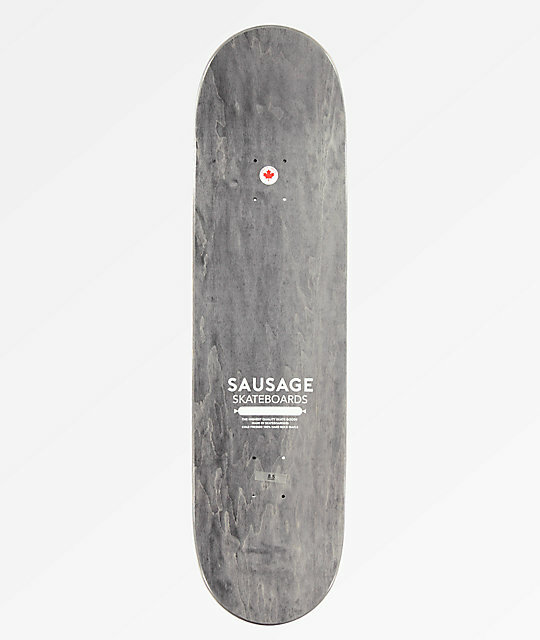 Get yourself a vert slayer with the Sausage Black Letter 8.5" Skateboard Deck. Constructed with hard rock maple, this deck is extremely durable and with wide and steep kick tails, this deck is ready to lock in to stalls and slides alike. Finished with steep concave for flip tricks and mid-sized wheel wells to leave space for vert wheels, this deck is ready to shred it all. 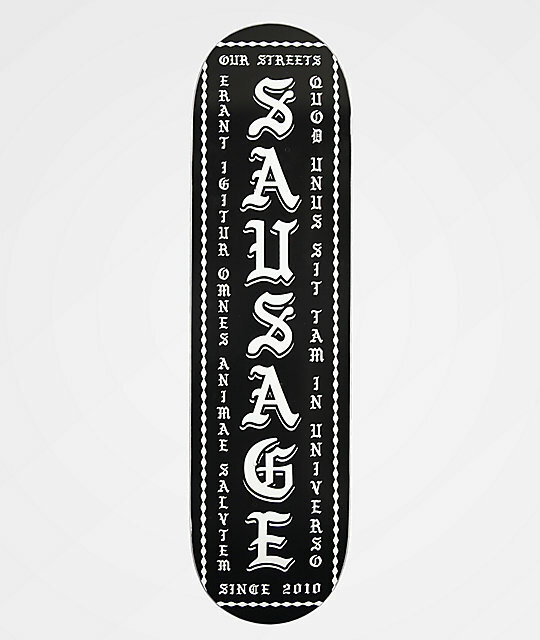 Black Letter 8.5" Skateboard Deck from Sausage Skateboards. 7-ply hard rock maple construction.